"¡Leche Con Carne!" the third studio album by punk rock band No Use for a Name, released in 1995. 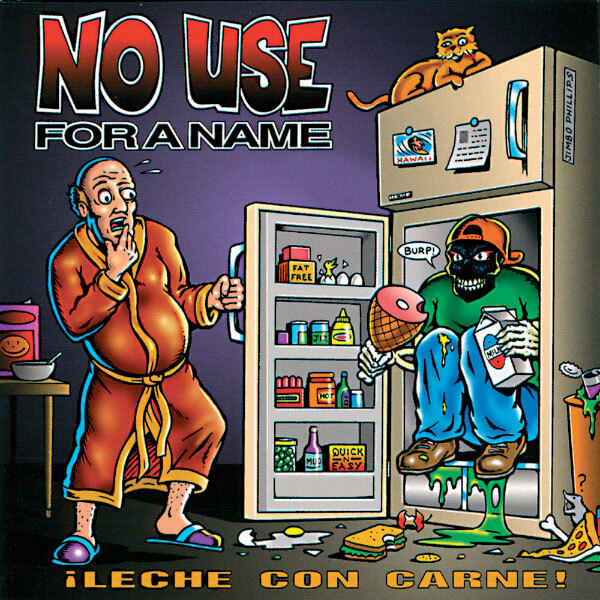 The album title is Spanish for "milk with meat". The band gained critical recognition for this album and supported The Offspring on the Smash tour. After this tour, guitarist Ed Gregor and bassist Steve Papoutsis left No Use for a Name and would be replaced by Chris Shiflett and Matt Riddle on guitar and bass respectively.